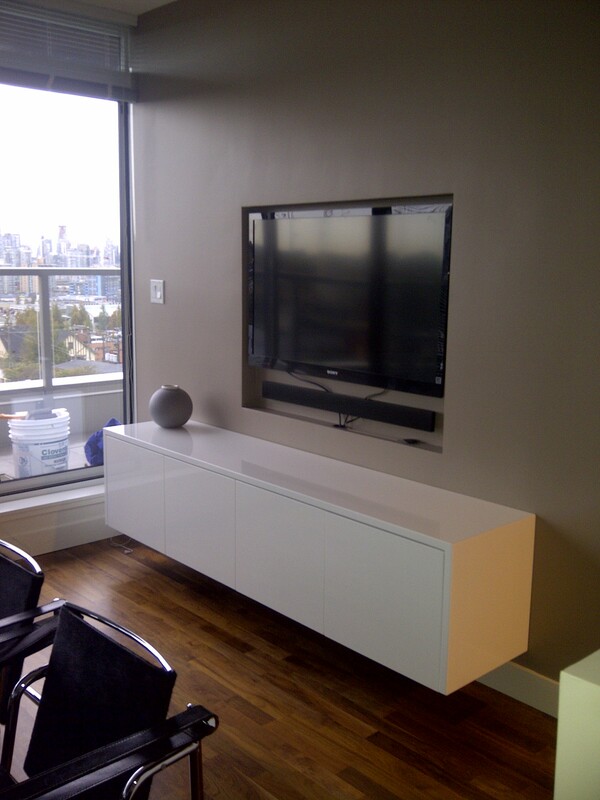 White high gloss entertainment unit. Electronics are vented through the wall and out the recess in the wall. White enamel polished high gloss mdf doors and outside shell with walnut cabinets. Image | This entry was posted in Custom Projects. Bookmark the permalink.